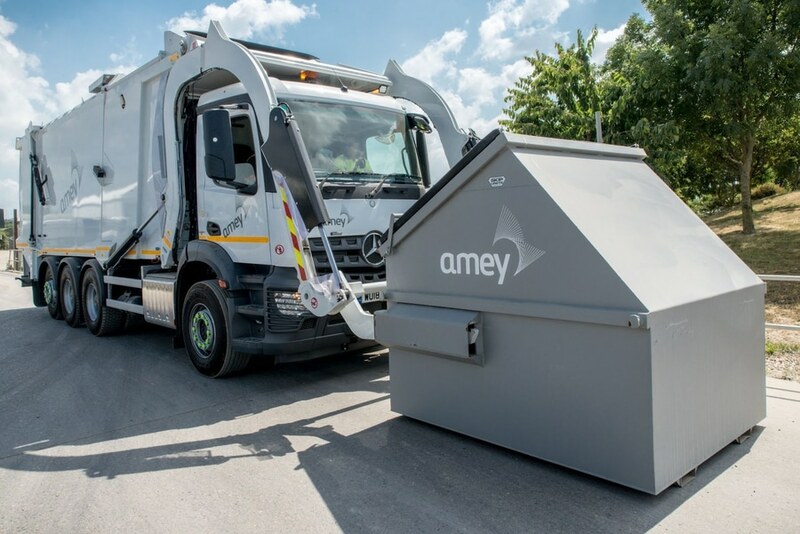 Waste and recycling firm, Amey, has today unveiled its new Front End Loading waste collection vehicle which will be operating as part of its waste collection fleet. Waste and recycling firm, Amey, has today unveiled its new Front End Loading (FEL) waste collection vehicle which will be operating as part of its waste collection fleet. According to the company the move improves safety for workers and other road users as well as increasing the efficiency of the waste collection service. 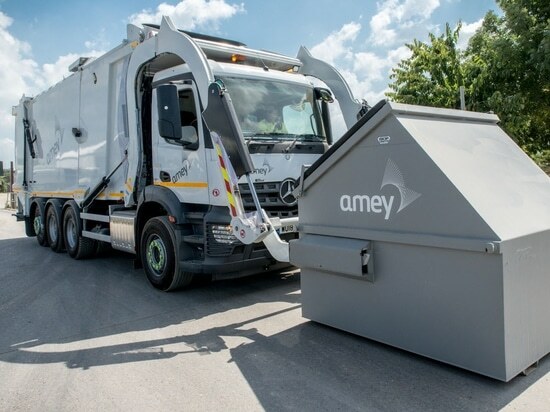 Amey’s first Mercedes-Benz Arocs Tridem - a 32-tonne, 38m³ Frontpress refuse collection vehicle - will be servicing commercial waste clients in Cambridgeshire. Due to its large storage compartment capacity and even bin-loading capabilities, the operator said that it is ideal for collecting large volumes of solid waste in commercial environments. The vehicle is also said to make the collection of waste safer for operatives, as the driver can control the approach and emptying operation using a joystick and infrared technology from inside the cab. This reduces the risk to operatives and eliminates any direct contact with waste materials. “Investing in new fleet and vehicle technological advances ensures that we are delivering the most efficient and effective service for our clients. Amey added that this vehicle – and others in its fleet across the UK – have the latest cycle safety equipment. Drivers receive an audible warning if a cyclist or pedestrian is attempting to pass between the vehicle and the kerb. The technology is said to not only keep people safe, but reduce minor incidents and insurance claims and therefore offer cost benefits to Amey and its clients.